MeyerPlows.info - Old or Newer E-47? Find out here. Old E-47 or Newer E-47? 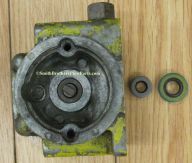 Here is how to tell which actual Gear Pump you have. 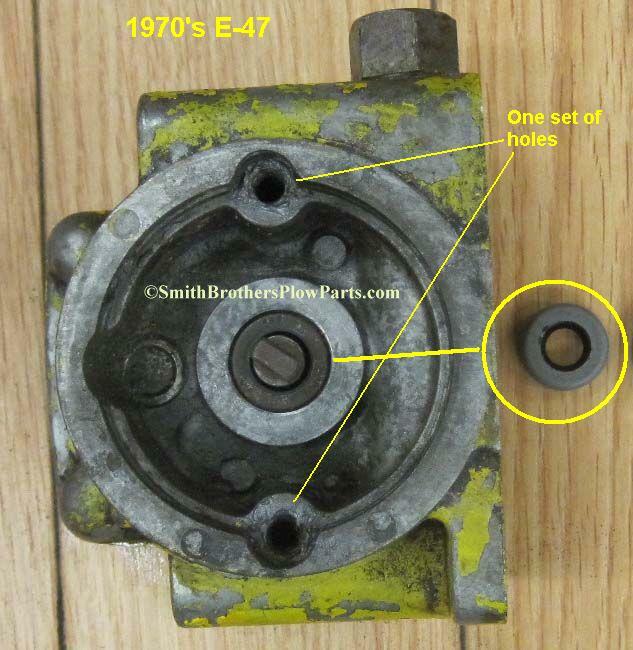 **TIP** - When rebuilding an E-47, do not take these Gear Pumps apart! They are replaced as a unit, there are no internal parts available for them! 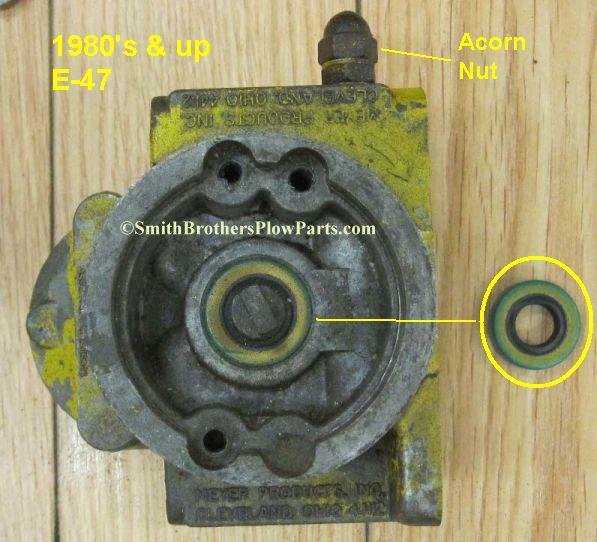 2011 - Genuine Meyer E-47 Gear Pump Redesigned! 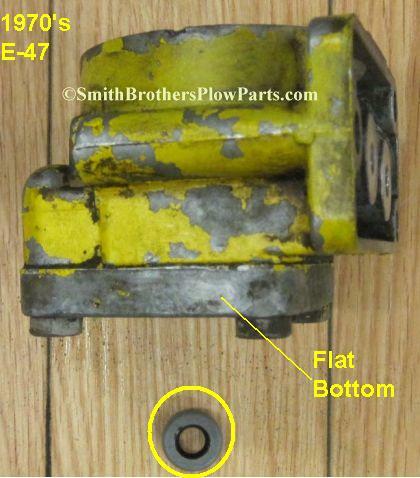 The E-46 used the same Gear Pumps as the E-47's. Pump Shaft Seal for Meyer E-47 pumps. 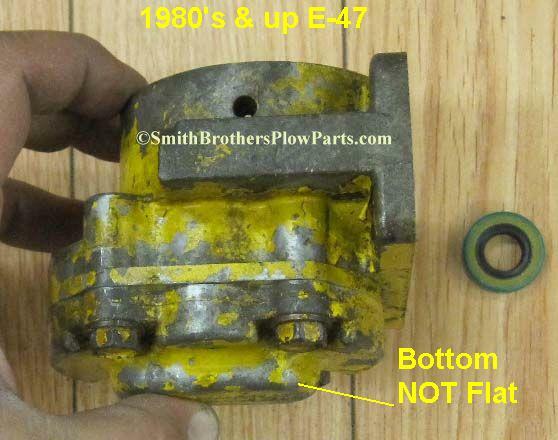 This is the actual Pump Shaft Seal that is under the motor. Fixed Shipping Charge -$1.50 First Class Mail. 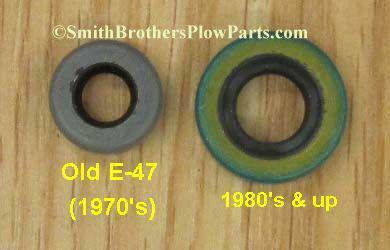 Pump Shaft seal fits 1970's E-47 units. It is smaller than newer (1980's) units. See Product Images to verify this is the one you need. See Related Items for the newer one.